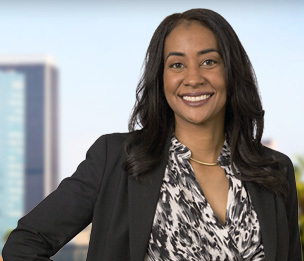 Tamara A. Bush is an experienced litigator who has managed a wide range of general commercial and products liability lawsuits. Ms. Bush handles matters in federal and state courts across the country, both at the trial and appellate levels. She has considerable experience handling sophisticated pre-trial motions and developing complex matter case strategy. While attending the University of Southern California law school, Ms. Bush was a member of the Southern California Review of Law and Women's Studies. Substantial experience in the defense of product liability actions on behalf of manufacturers, distributors and/or designers of automobiles, trailers, forklifts and other consumer products. Representation of professionals and businesses in matters involving fraud, interference, the protection of trade secrets and enforcement of covenants not to compete. Defense of class action lawsuits on behalf of manufacturers involving claims of consumer fraud and unfair practices. Representation of insurers in defense of bad faith claims and in asserting and defending equitable actions regarding coverage for underlying claims. Representation of individuals and businesses in disputes over property including quiet title and slander of title actions. Obtained summary judgment and affirmation on appeal for well-known movie studio against serious injury claims brought by actor for negligence, negligent entrustment and strict products liability. Briefed, argued and obtained affirmation of ruling granting summary judgment in published appellate decision Dagher v. Ford Motor Co., 238 Cal. App. 4th 905 (2015). The Use of Radiology To Understand Seatbelt Wear Patterns, 2015 Emerging Issues in Motor Vehicle Products Liability Litigation, ABA Tort Trial & Insurance Section, Co-Presenter with Cynthia M. Day, M.D. Distracted Driving: Stop Texting and Pay Attention, 2013 Emerging Issues in Motor Vehicle Products Liability Litigation, ABA Tort Trial & Insurance Section, Co-Presenter with Sandra Anstaett Metzler, D.Sc., P.E.